What has occurred in Ethiopia in recent months is nothing short of a miracle. The speed of change that is taking place in our country is quite amazing. For Ethiopians in the diaspora and at home the last short four months has been extraordinary. The rhetoric heard in the last forty years by consecutive Ethiopian leaders has been degrading and debasing to Ethiopians. 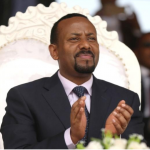 It is refreshing to hear the current Prime Minister of Ethiopia use words and statements that contributes to peace and reconciliation in Ethiopia. The arrogant, I know it all dictatorial concept of leadership has been defeated. Thanks be to God! Un-like Weyane, Dr. Abiy Ahmed has shown fortitude, magnanimity, backbone and remarkable vision in a short space of time. Regardless of what happens in the future, Dr. Abiy Ahmed deserves our appreciation, gratitude and support. Today in Ethiopia we have a leader who starts and ends his speech by saying may our creator bless Ethiopia and her people, we have a leader who says let us build bridges not walls, we have a leader who says love and forgiveness will overcome hate, we have a leader who says our addition, our unity is our strength and we have a leader who disdains and shuns the concept of Kilil. Despite political pundits, experts, opportunists and diehard supporters of TPLF, indeed for the silent majority of Ethiopians like myself who has always wished in our heart the best for our country what is currently happening in Ethiopia is very gratifying. At last for a change we have an Ethiopian leader who is eager to listen, we have a leader who says we have made a mistake we seek your forgiveness and most of all we have a leader who respects the Ethiopian people and understands the true concept of what a country ought to be. Clearly, Dr. Abiy is a different kind of Ethiopian leader. He deserves our respect and admiration. As if the brutality of Mengistu Hailemariam was not enough, the cruel design by TPLF to divide the Ethiopian people by ethnicity and ultimately destroy Ethiopia is unforgivable. 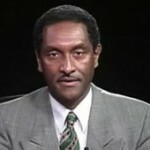 For the past twenty-seven years Weyane has tried desperately to create discord and animosity among Ethiopians. We have been told to reject our history, we have been told that our past is full of fiction and myth, we have been told to debase our country and most of all Ethiopiawinet has been looked as some obnoxious and offensive concept. Divide and rule and sham Federalism has been constituted solely for the benefit of TPLF. Although TPLF has used different strategies to disunite Ethiopia, the most callous and disgraceful idea inaugurated by Weyane is Ethnic Federalism. To sub-divide Ethiopia’s boundaries by ethnicity is a shameful act. Ethnic Federalism is used as a device to divide the Ethiopian people and destroy Ethiopia as a nation state. This virus infected the Ethiopian society for twenty-seven years. Kililism based on ethnicity is a controversial and disruptive idea. Ethiopians were used as gunea pigs by Weyane to experiment their hateful and callous idea. To claim that Ethnic Federalism was constructed to bring equality among Ethiopia’s diverse people is bogus. Yes, federalism has a place in Ethiopia, yes decentralization of power is good. States and local governments do play a significant role in federal arrangement, but the current federal structure sub-dividing Ethiopia’s internal boundaries by ethnicity must be overturned. During Dr, Abiy’s speech at Meskel Square on June 23, 2018 one thing that was heard loudly and clearly was when he said Ethiopians should stop saying this Kilil is mine, this territory is mine, this boundary belongs to me, get out! He continued by saying, you honor me and the people who work alongside me when you begin working in love to build our country. Has TPLF heard this message? Is there any redemption for Weyane? Their idea of segregation and division has failed. The so-called revolutionary democracy slogan is in shambles. What they hated passionately the most Ethiopiawinet has triumphed in Ethiopia. The only salvation left for Weyane is when they recognize and acknowledge that Ethnic Federalism was a mistake. 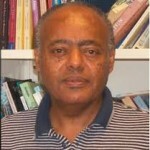 They must admit that sub-dividing the internal boundaries of Ethiopia by ethnicity was a monumental historical blunder. They must admit that encouraging the growth of ethnic political parties was disruptive, but above all they must confess publicly their crimes and seek the forgiveness of the Ethiopian people. If they seek forgiveness maybe mercy will follow. If they don’t admit their mistakes, TPLF will be permanently remembered as a minority faction whose sole aim was to create apartheid in Ethiopia. Isaias Afwerki of Eritrea once their partner in arms calls Weyane a group of kleptomaniacs! While TPLF is being rejected and slowly being removed from the national Ethiopian political scene a new reality is taking place in Ethiopia. Though there are many who are qualified than myself who can and will opine about the state of reconciliation between Ethiopia and Eritrea, I will be remiss not to mention what transpired in Asmara, Addis Ababa and Awassa in the past few days. As an Ethiopian, I am delighted by the outcome. Again, the extraordinary leadership of Dr. Abiy was in full display. His oratory skill, his diplomatic ability, his calm demeanor, his maturity and sense of humor was mesmerizing. I was mostly grateful to see the two parties handle their affairs without outside intermediaries. The United States, Russia, China, the European Union, United Nation and the African Union were out of the picture and we are better for it. Let us hope the renewal of friendship between Ethiopia and Eritrea is everlasting. Most Ethiopians aspire justice and equality for all, we aspire the rule of law to be supreme in the country, we want democracy freedom and peace. Plenty of us are exhausted and fatigued by endless political bickering and division. We are tired of leaders who don’t have any moral or ethical character. Yet this is also a time for self-analysis, sadly, we Ethiopians tend to act like sheep’s and are easily led by demagogues. We are impressionable, we are easily led and manipulated. We are followers! Because of our lack of independence, we are tricked and coned by oppressive leaders. Is this a turning point in our history? Our experience in the past has always been one step forward and two steps back. It is my hope this time our progress is more real and authentic. In the last four months Dr. Abiy Ahmed and Ato Lemma Megersa have shown tremendous courage and foresight. We Ethiopians owe them a great deal of gratitude. I for one thank them from the bottom of my heart for bringing hope and dignity to our country. Posted by cybereth on Jul 23 2018. Filed under News, Views and Opinions. You can follow any responses to this entry through the RSS 2.0. Both comments and pings are currently closed.